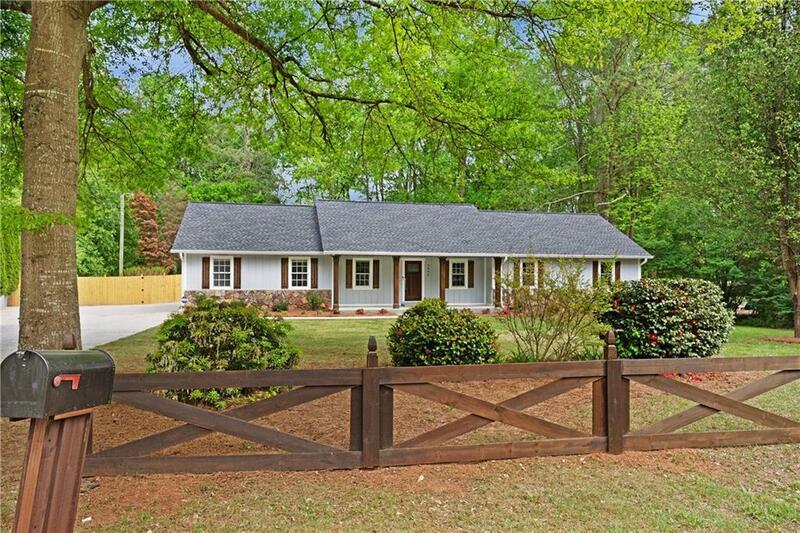 Breath-taking renovated ranch home nestled on a gorgeous level wooded lot! Large open concept family & dining room w/ view of stunning kitchen! 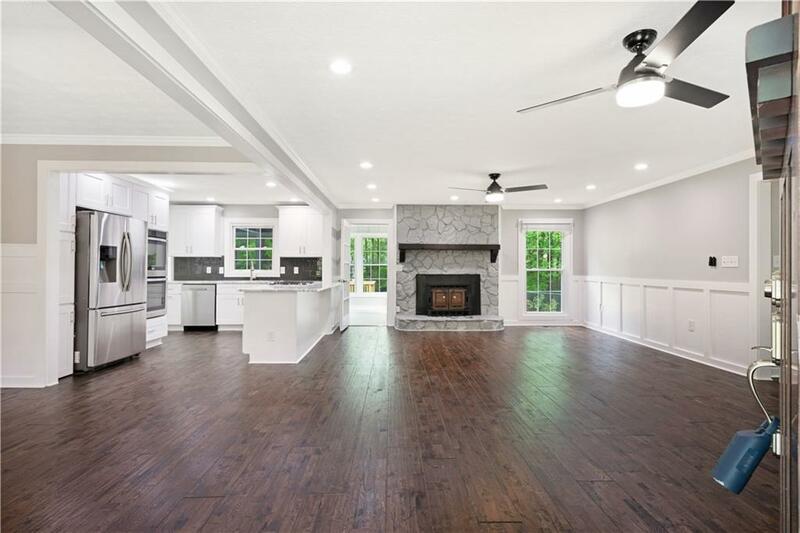 White shaker cabinets, SS appliances, & granite countertops! Cozy breakfast nook off kitchen! 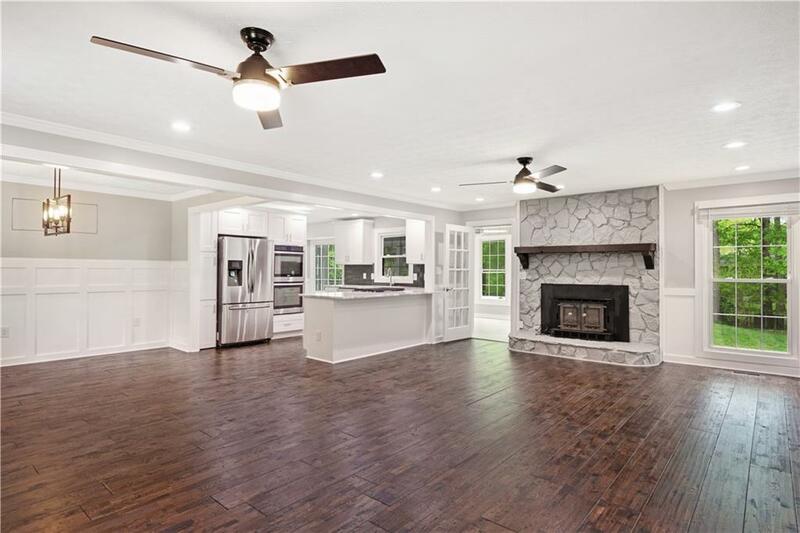 Custom trim work & new lighting throughout. 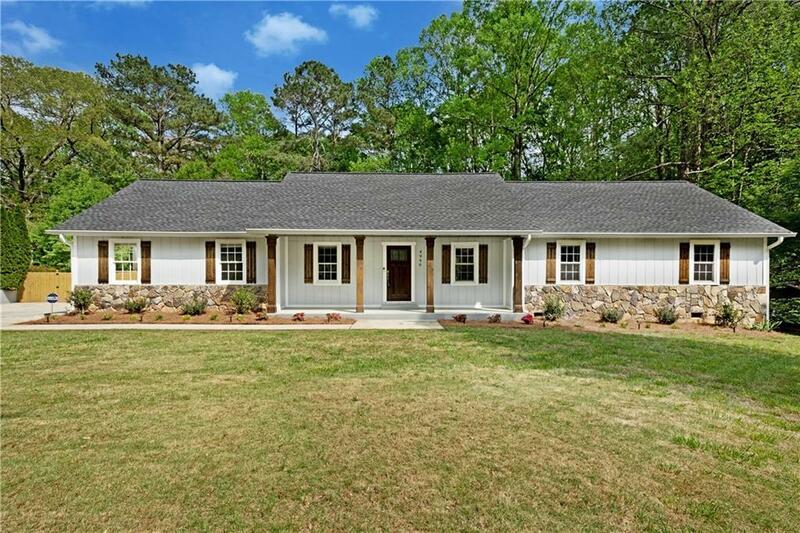 Master suite features barn door at walk-in closet & double vanity in master bath! New carpet in bedrooms! Spacious sunroom has view to beautiful lush backyard & amazing pool! Interior & exterior home freshly painted! New pool liner, new deck, new roof, new fencing, ring doorbell & much more! Listing provided courtesy of Keller Williams Realty Signature Partners. Listings identified with the FMLS IDX logo come from FMLS, are held by brokerage firms other than the owner of this website and the listing brokerage is identified in any listing details. Information is deemed reliable but is not guaranteed. If you believe any FMLS listing contains material that infringes your copyrighted work, please click here to review our DMCA policy and learn how to submit a takedown request. © 2019 First Multiple Listing Service, Inc. Data last updated 2019-04-24T07:10:12.197. For issues regarding this website, please contact BoomTown.